We too often focus on correcting the dog to not pull by yanking and pulling on it. People have used harsh methods as a result of not understanding the behaviour. Instead if we focus on what we do want it becomes that much easier instead of always trying to correct the dog. I am going to discuss just one force free method that you can apply. Focus on your dogs position but to do this you can either start with your dog walking off lead or if not by tying your dogs lead to your waist. By doing this your hands are free for treat delivery as well as you are not inclined to pull on your dogs lead. Be sure to give the treat delivery on your side and not in front with you. You want to be feeding with your left hand so that your dog does not come in front of you for the treat. If you have a smaller dog, use a tin of canned food; stick it in your bait/treat bag and deliver small amounts to your dog with a wooden spoon so that your dog is not inclined to jump up to reach for the treat. I am discussing this with the dog walking on your left with only his muzzle being next to your leg or slightly pass. Treat your dog for his position being next to you. If he passes your leg stop and call him back to you. Once he is next to your leg again you can treat him. Use rather high value treats like cheese or cold meat as the environment itself could be reinforcing so you need to have something of high value to your dog to have his attention with you. Start this training in a very low distraction area possibly at home. Do this a few times a week for a minimum of 3 weeks. You could also add a target stick to this and I like to use a clicker to mark the behaviour. 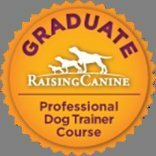 For more detail contact us by completing the form below for your one on one training session at dog-care-centre. Winter Dogs Second edition!! for only R180!! Click on the image of the book to see the video trailer or click on the book Winter Dogs to order any of the books. 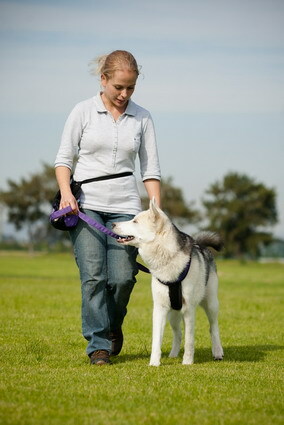 Louise Basson on the Expresso Show talking about Huskies and Husky Rescue 2012.